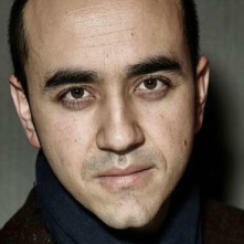 Muayad ALAYAN (1985, Palestine) is a filmmaker and cinematographer based in Jerusalem. He studied Film in San Francisco, where his graduation project, the documentary Exiles in Jerusalem (2005), won the Kodak Award. Alayan’s first feature Al-hob wa al-sariqa wa mashakel ukhra/Love Theft and Other Entanglements (2015) premiered in Berlin. The Reports on Sarah and Saleem premiered at IFFR 2018, where it won the Special Jury Prize in the Hivos Tiger Competition and the Hubert Bals Fund Audience Award. Alayan is co-founder of Palcine Productions, a collective of filmmakers and audio-visual artists in Jerusalem and Bethlehem. In addition, he has worked as a film and cinematography instructor at several academic institutions in Palestine.